Bigg Boss's latest episode has gained Oviya a massive respect and support from the audience, as she is being cornered by all other remaining contestants. Choreographer and actor Sathish made a series of tweets on this issue. He tweeted, "Housemates needs to stops saying things happening are drama. They won't know to handle situation if it's real. Julie yaaru ma nee enathan vennum ? #BigBoss. Oviya vellilla ponnaodaney adichaparu balti Julie unna ennasollarathu #BigBoss .un Kadhai mudiyum neeram idhu. I think Shakthi is boy version of Gayatri Namitha raiza. 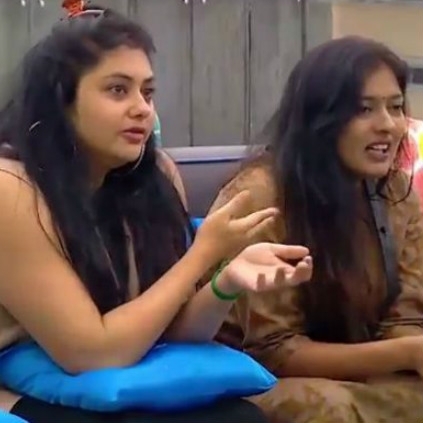 Gayatri best comment to Julie for the first time in the history of #bigboss don speak to me and don ask me na nadikareana ka.sisterlove. Housemates thinks Oviya is cornered . It's not 9vs1 its 9vs 4.5cr or even more :) magizhchi"
People looking for online information on Bigg boss, Oviya, Sathish Krishnan will find this news story useful.